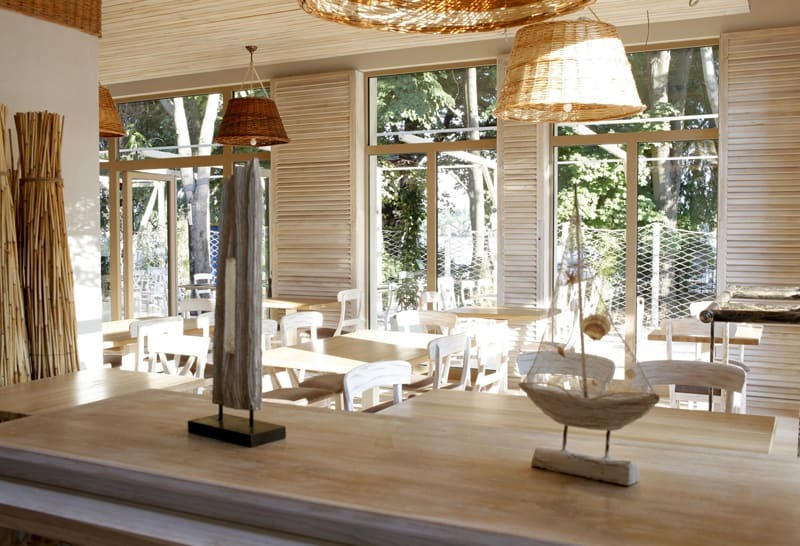 Fish restaurant design is like an escape to the seaside. 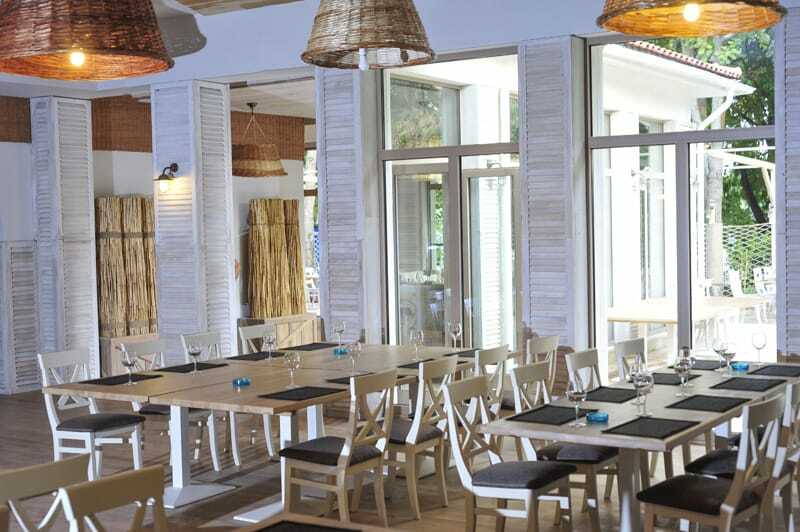 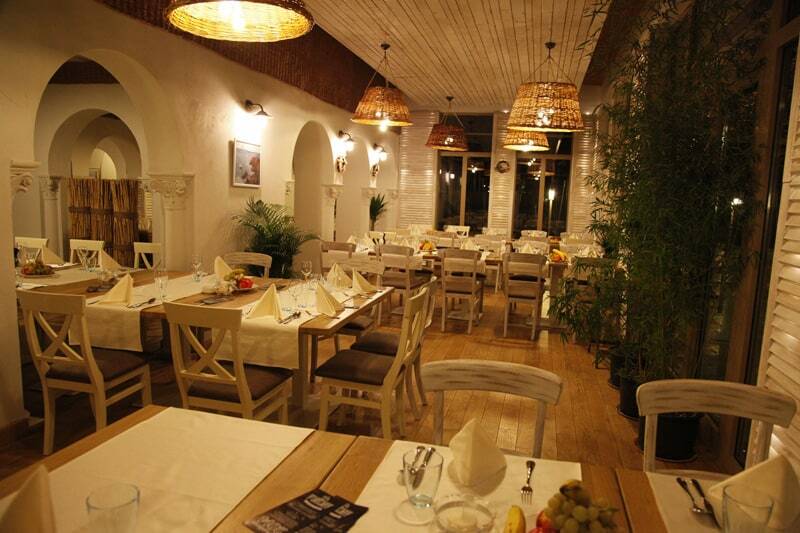 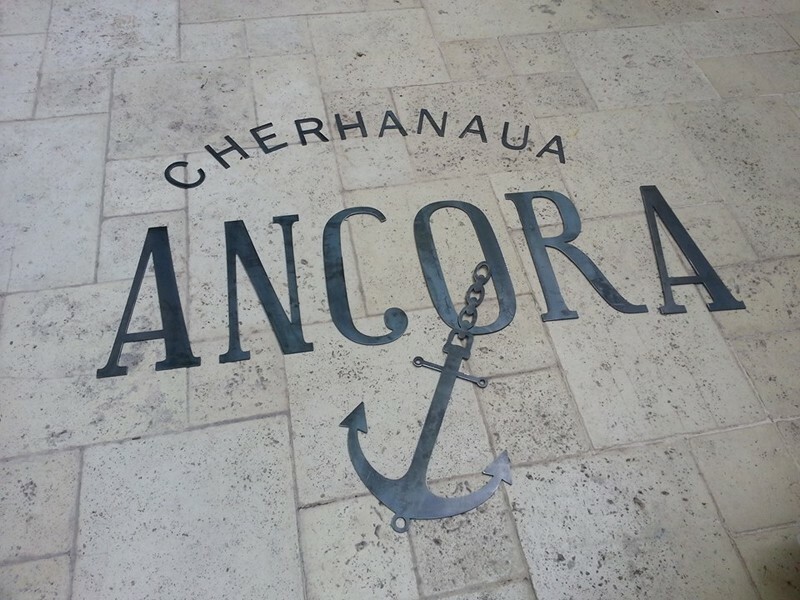 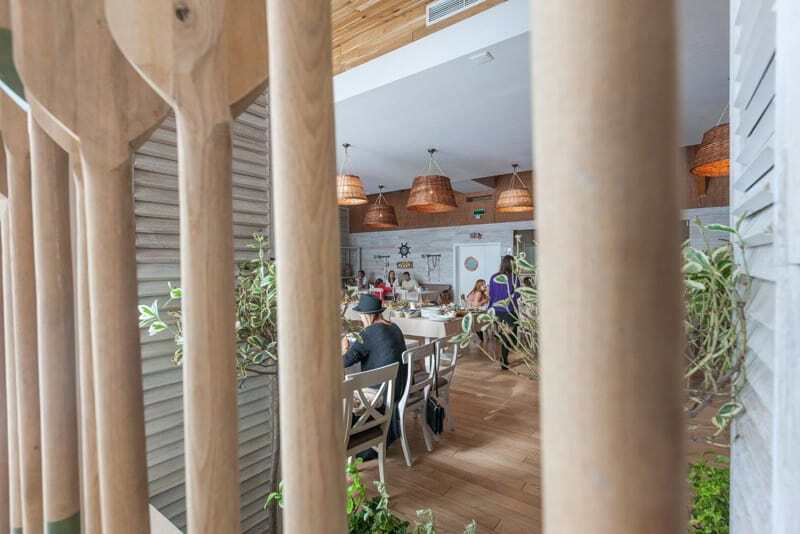 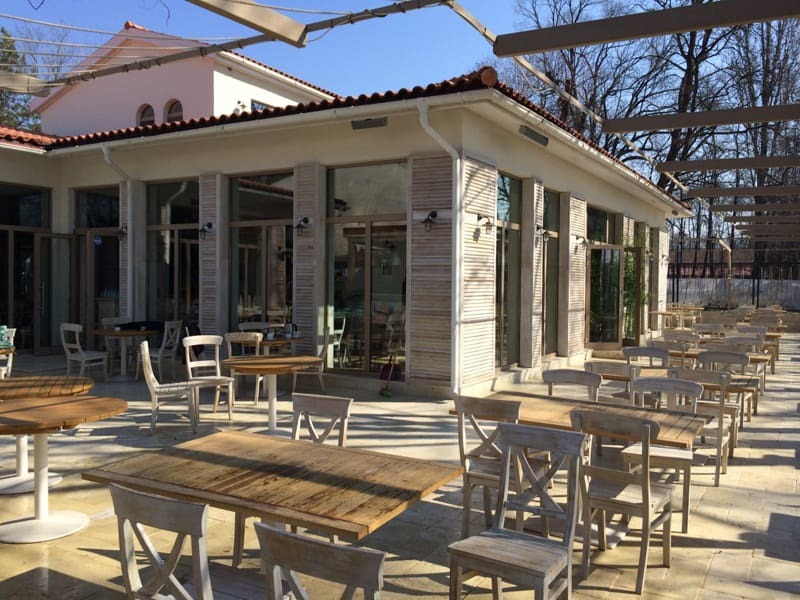 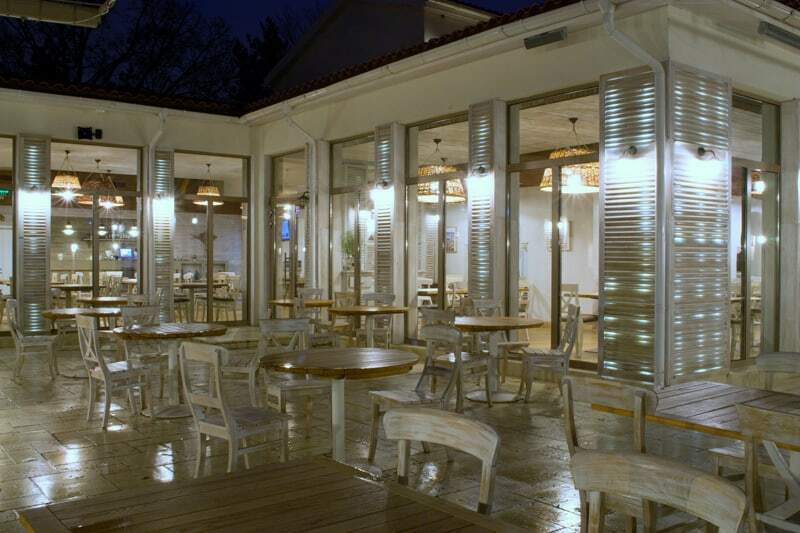 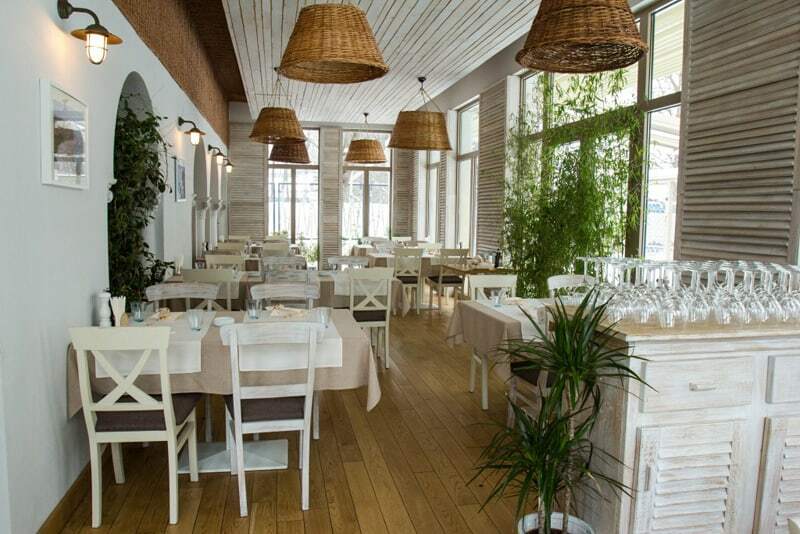 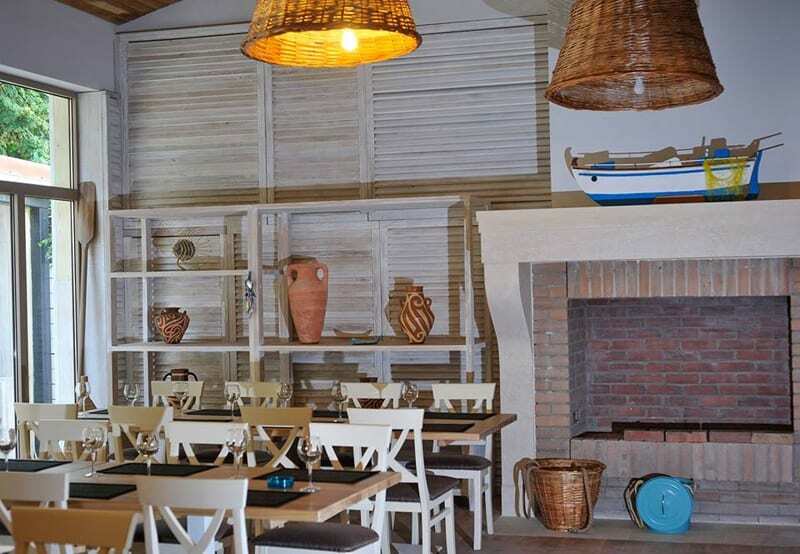 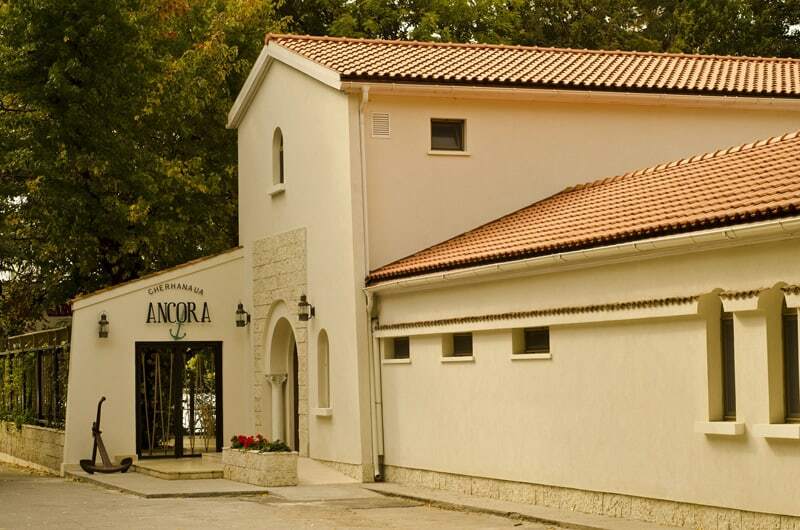 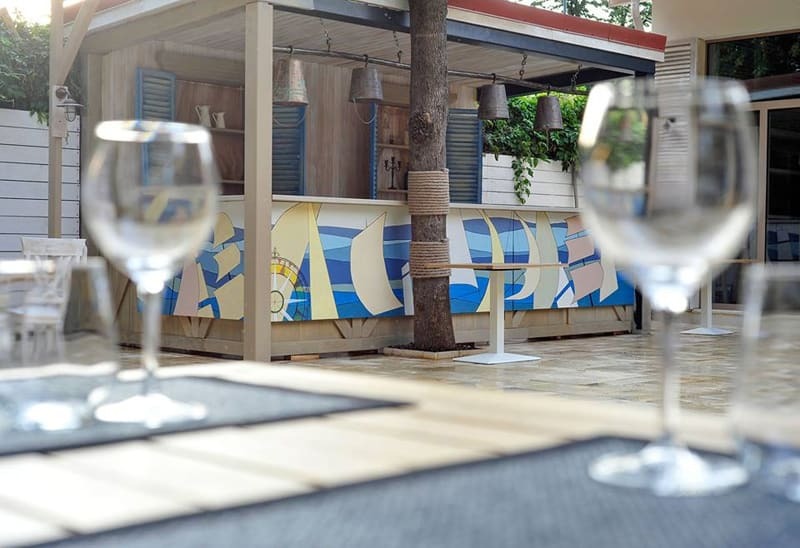 Cherhanaua Ancora – which translates with The Anchor Fishery – is located in Bucharest, Romania and it features cozy interiors invaded by natural light and marine themed decorations. 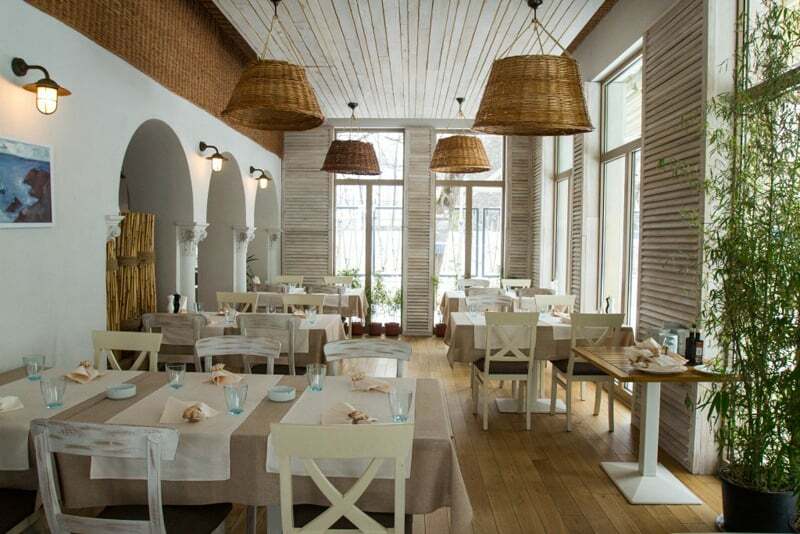 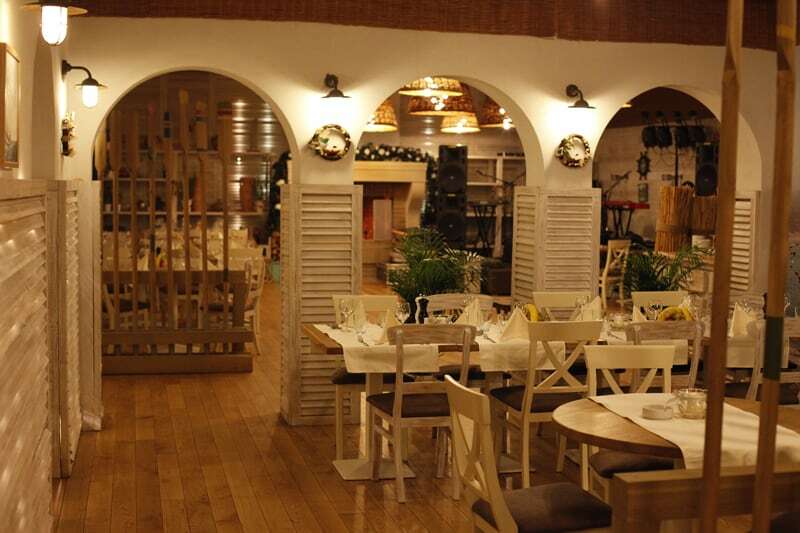 Reminding of noble mansions with elegant arches, but also with a pinch of Mediterranean soul, the restaurant breathes a relaxed atmosphere and invites the clients to taste delicious dishes. 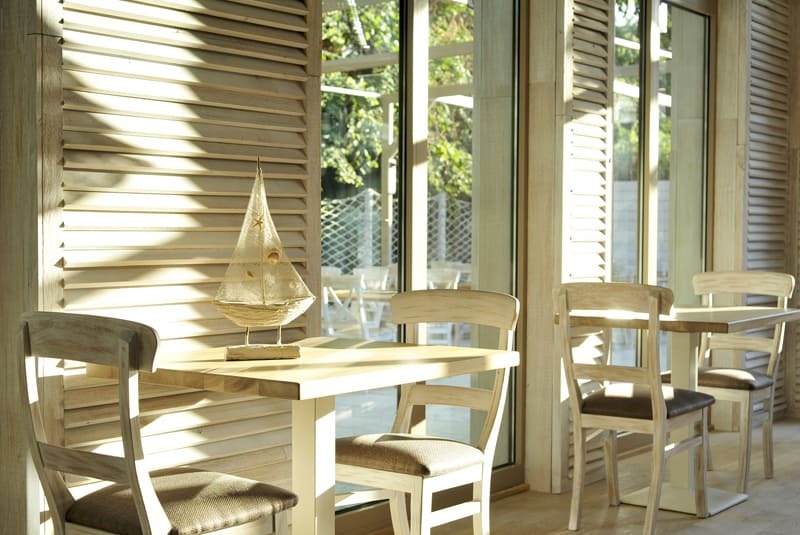 When I’ve first seen the photos, the abundance of natural light impressed me profoundly and I immediately started dreaming of sunny breakfasts and relaxed gatherings with family and friends at noon. 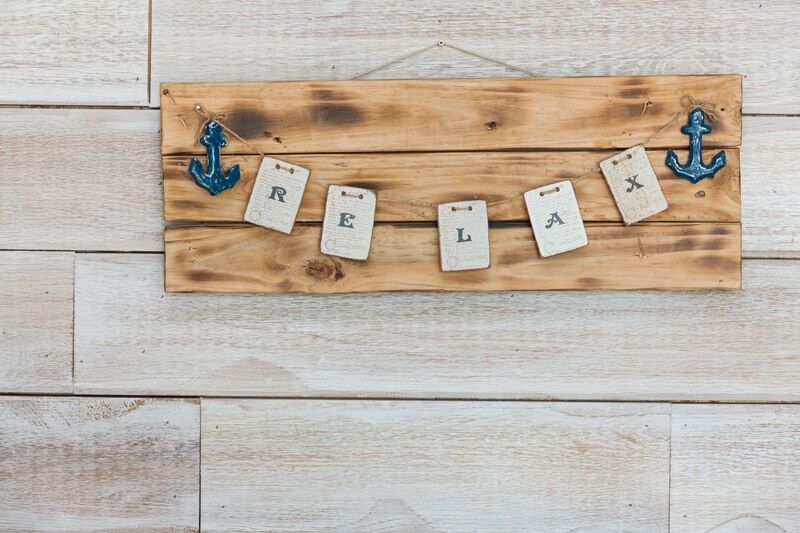 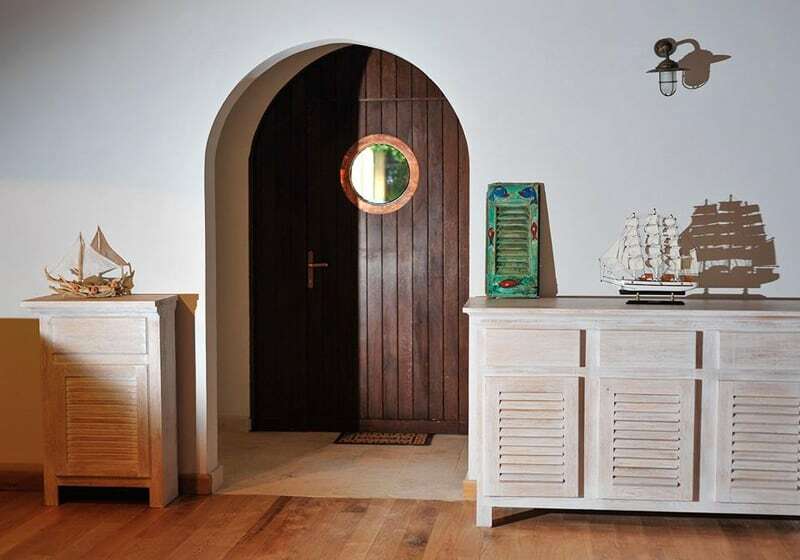 Its warmth comes from light materials: wood, wicker and white stone blend softly and reflect tranquility. 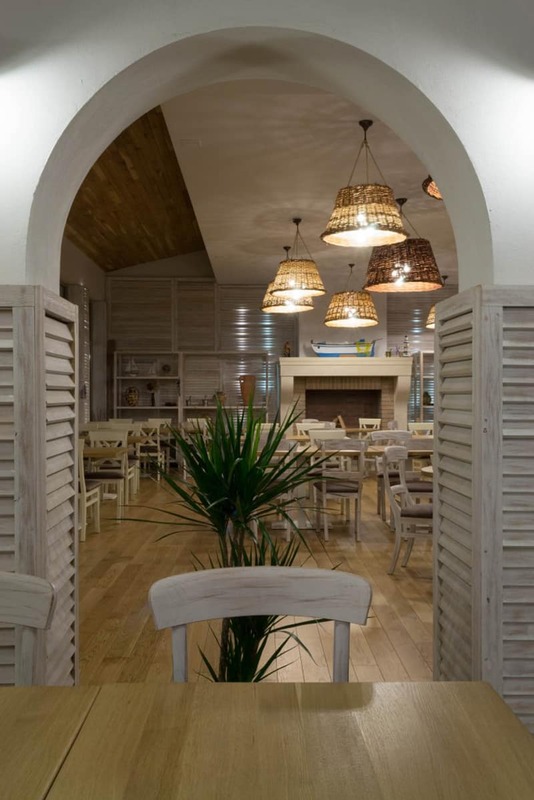 Less is more, the principle worked marvelously for the furniture sets: French dining chairs and tables with square countertops are just perfect for this restaurant specialized in seafood. 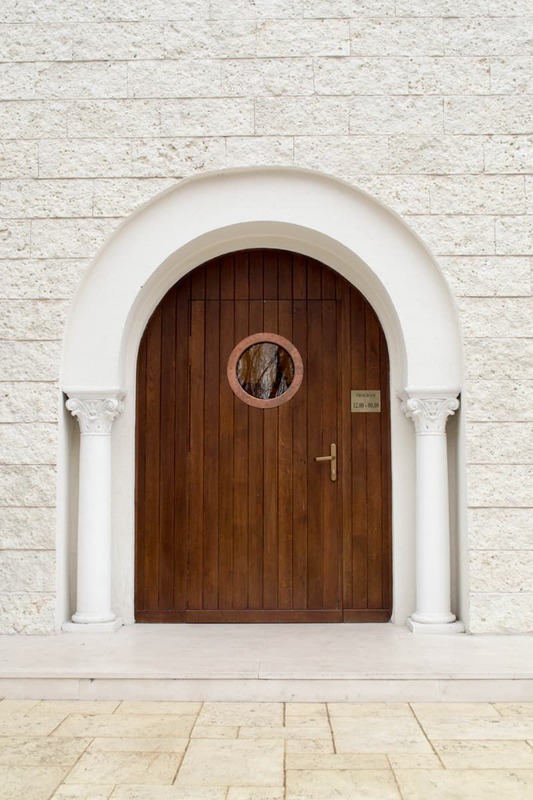 An impressive door with a porthole welcomes the guests and the two columns flanking it add a noble touch. 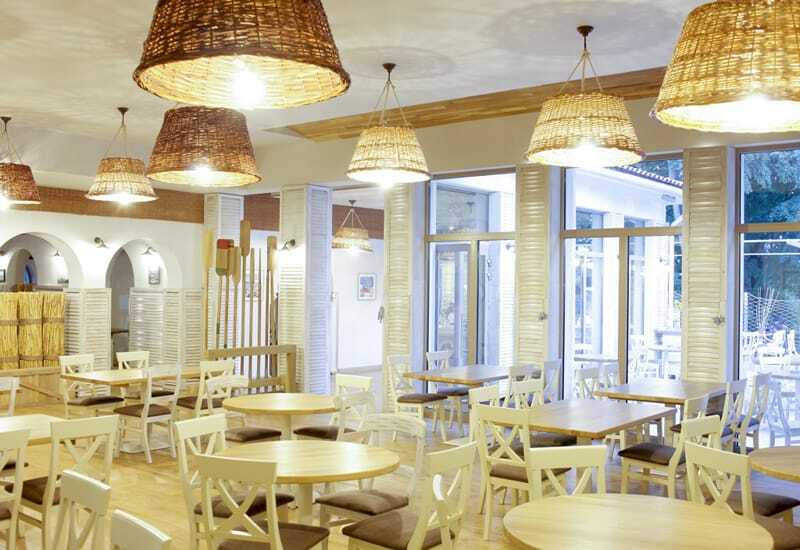 Wicker baskets were turned into pendant lamps. 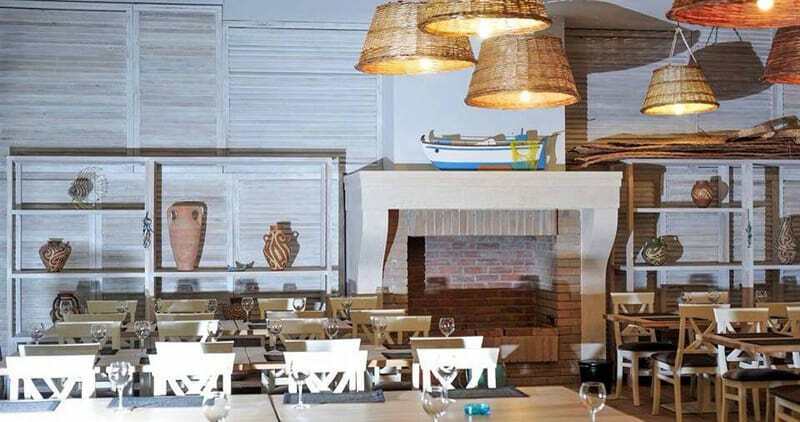 Sail boats can not be missing from an authentic fish restaurant design. 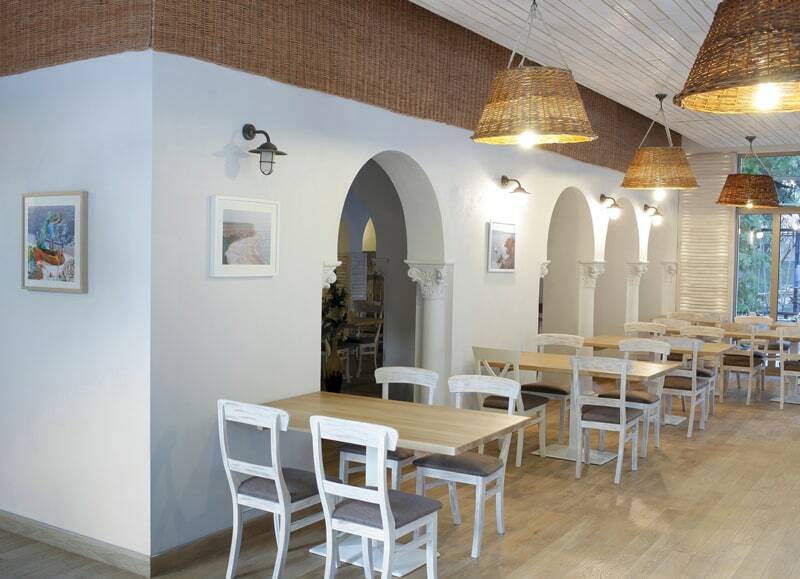 An adorable setup in a historical building with interior arches. 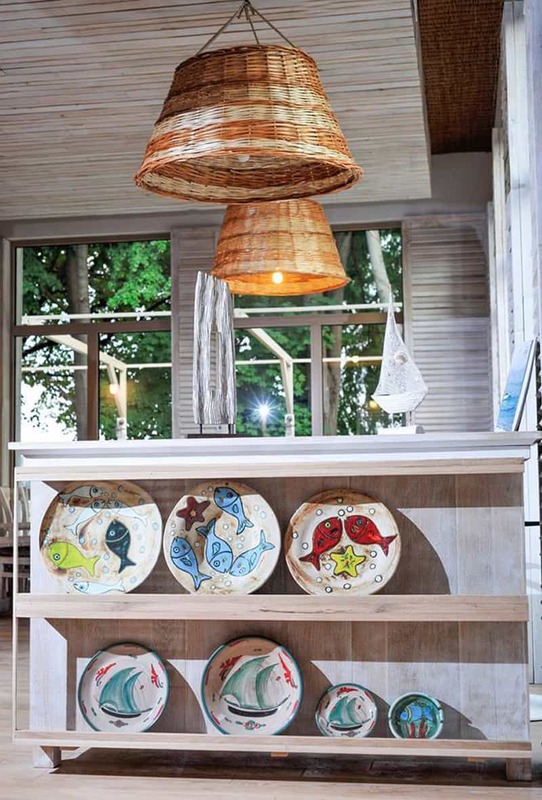 Colorful ceramic plates animate the interior. 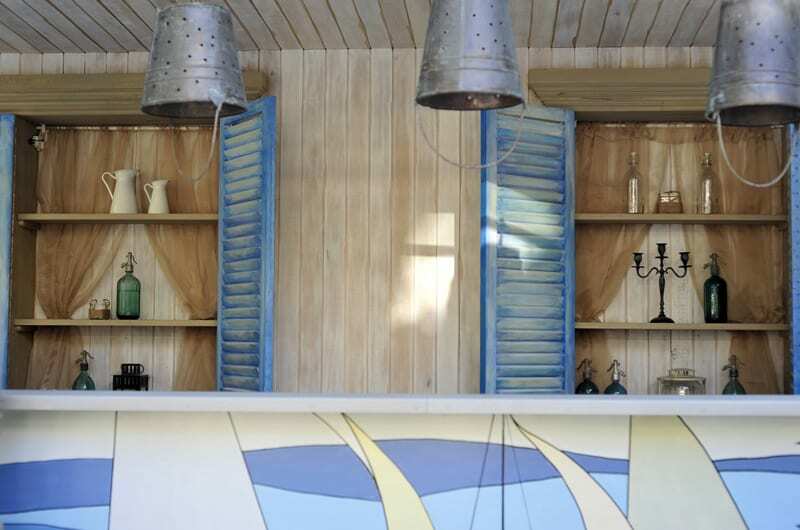 The theme? 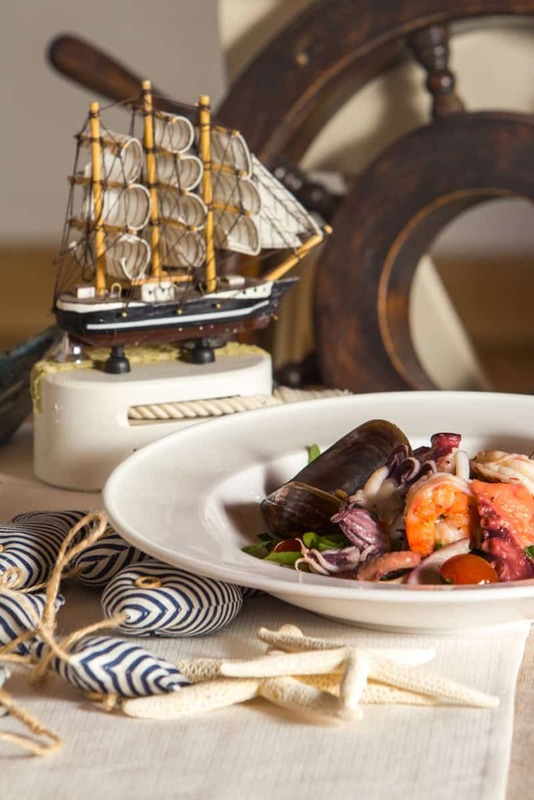 Boats and fish, of course!